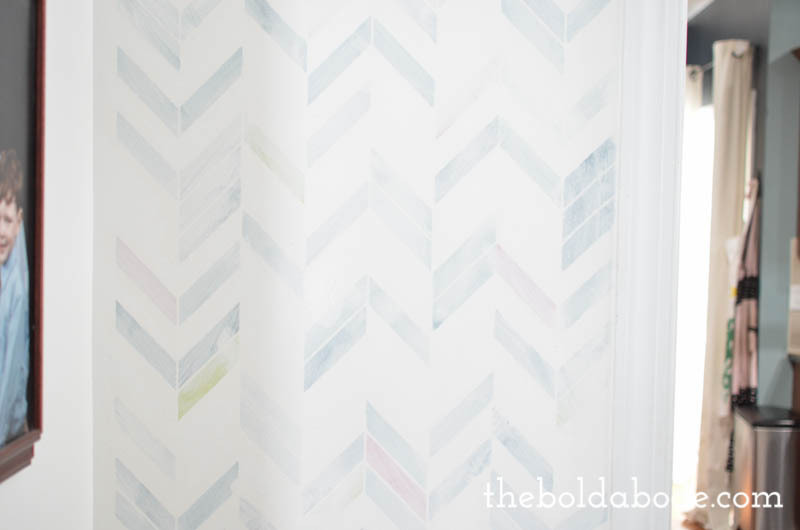 Ahhh… stenciled walls. I really do love them. 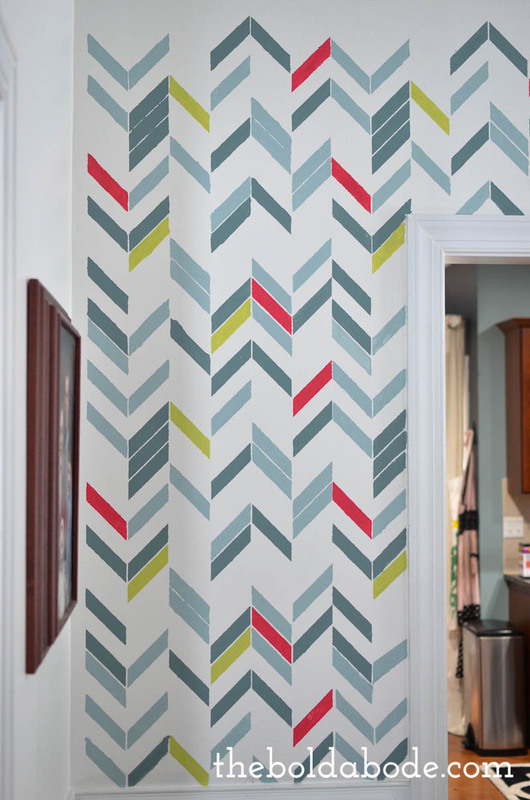 I think you can make some DRA-MUH with a great stenciled wall. I have had three of them. This one was stenciled, but with a white board crayon, so maybe that doesn’t entirely count. But this one in my bedroom is still the love of my stenciled life. 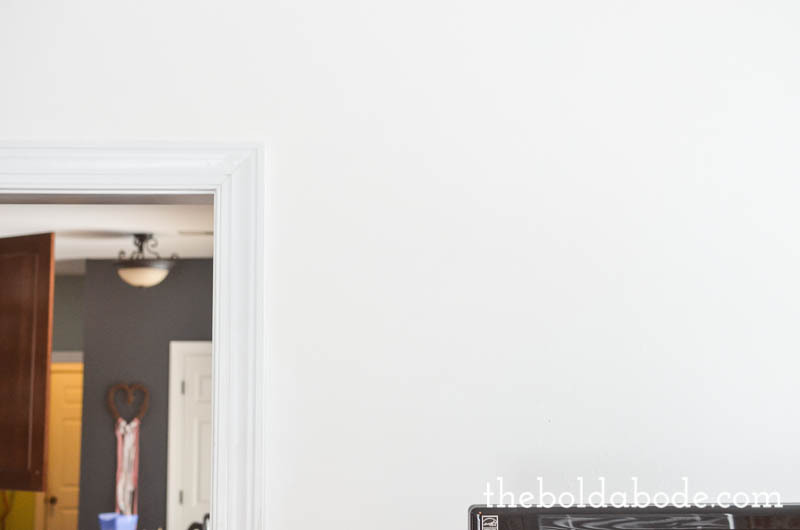 I’ve had this one in the dining room (now family room) for a couple of years, but when we switched the two room to make our home work for us better, I knew it was time for a change… which meant painting over this stenciled wall. 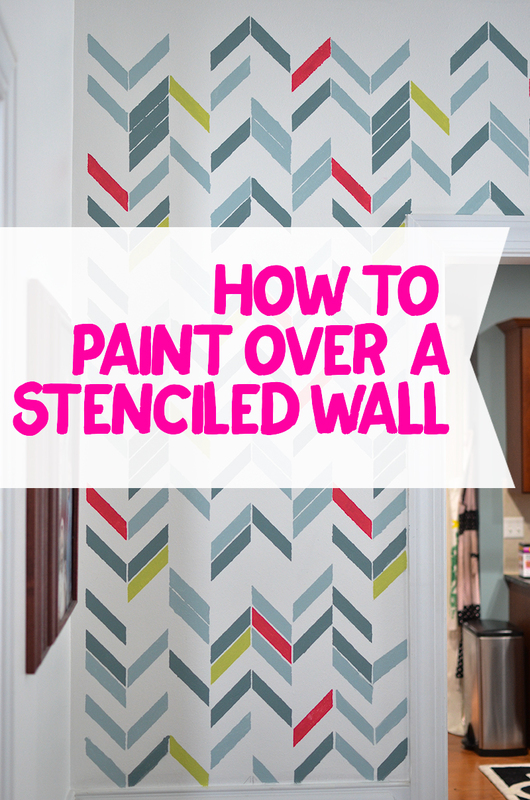 But, there are some issues with a stenciled wall that need some attention. Like, it makes an uneven second coat of paint that can be, at times, kind of thick. Just painting over it might cover the color, but it’s going to leave the imprint. That would not be good. Unless that is what you are going for. In this case, not. Not what I’m going for. 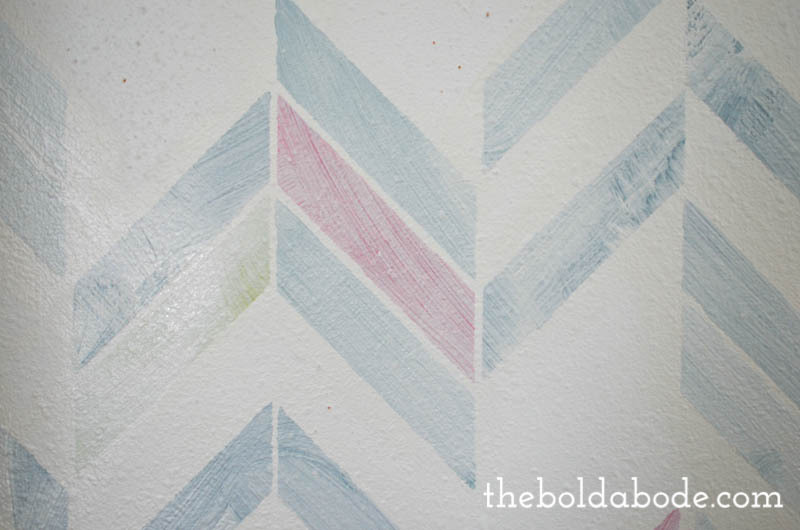 So here is how to paint over a stenciled wall from one who has been through the stencil painting trenches. 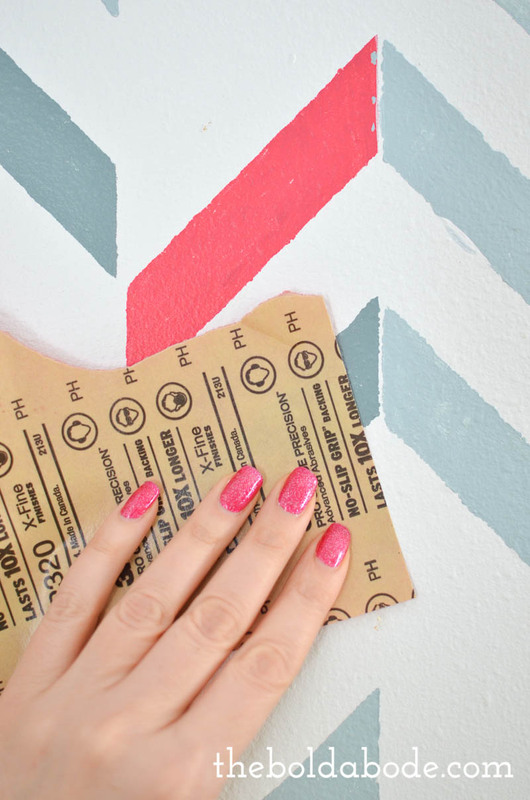 The first thing you want to do is the same for just painting.. clean that wall off. You can see my tips for prepping a wall here. Next, sand the edges of the stencil very well. I started with some sandpaper. But quickly realized that it wasn’t getting the job done, so I switched to my mouse sander using 120 grit. 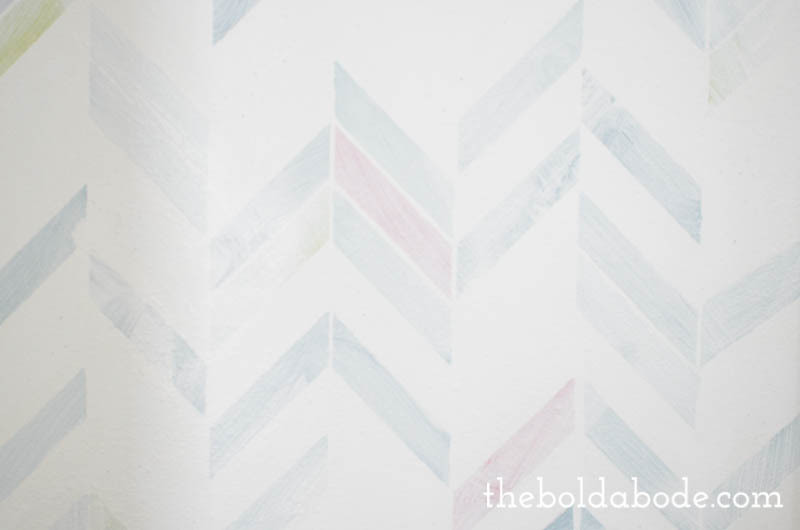 Since I have textured walls, I was a little bit concerned about just sanding over the whole stenciled wall, but it worked out fine. I tried to avoid the white background as much as possible and just concentrate on the raised edges of the stencil. I sanded it until it felt as smooth as I thought it was going to get. Then I used a brush and painted two coats over the stencil only. Then I gave the entire wall 2 more coats of paint. This was after two and you can still see the stencil. Just keep on painting until there is no sign left! Buh-bye. All gone. Thank the stenciled deities. There are still a couple of spots that didn’t get sanded down quite enough, but, fortunately, it blends in with the textured walls. If you have smooth walls (lucky duck), just be a little more obsessive about getting it smoothed out. Now, it’s a blank canvas and I can start thinking about what to do. I’ve already wallpapered the other side of the room! You can see my list of choices here. I’ll be sharing what I picked in a couple of days! I’m going for a clean black and white template and then building on that. It’s really a breath of fresh air. 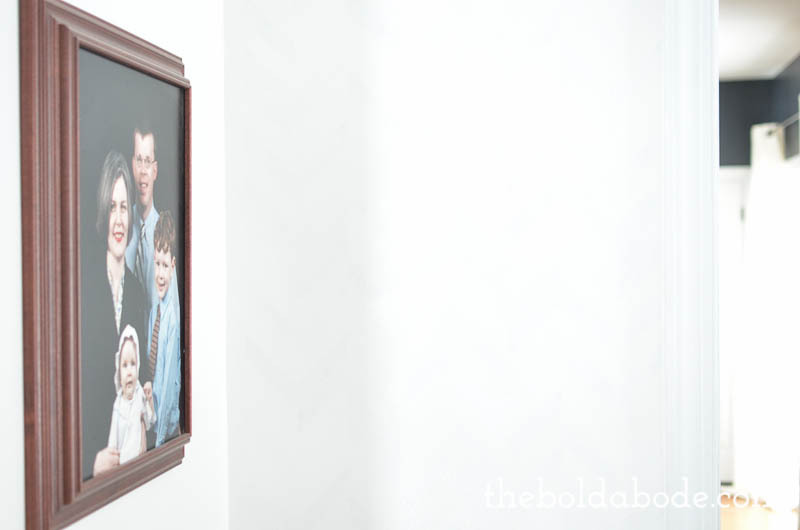 I was thinking that I was too old to still be figuring out my style, but I was watching a video about Joanna Gaines and her first house and realized that this is my first house, and I’ve really come a long way as far as my understanding of design and pulling a room together. It’s nice when you realize that you are always evolving and growing. Which I know, obviously, but it’s nice to be reminded. Are you still evolving? Share how down in the comment below! 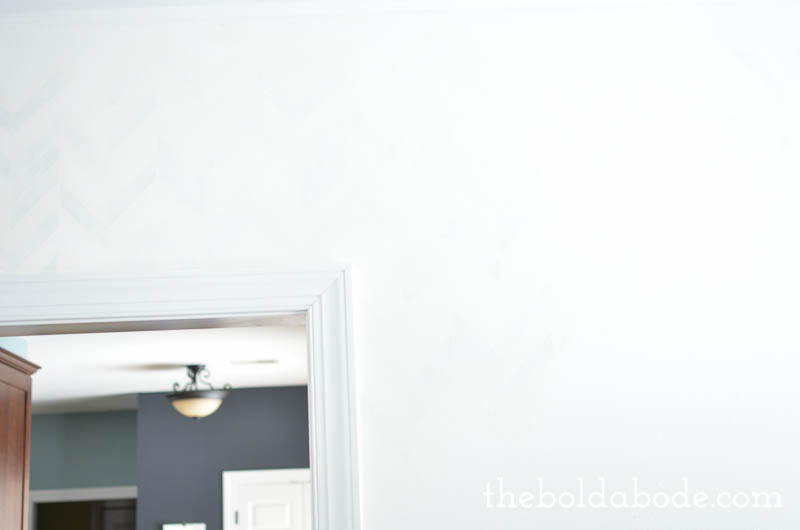 in our old house emmy’s room was lavender and green with a huge polka dot border i painted…. that was her nursery. 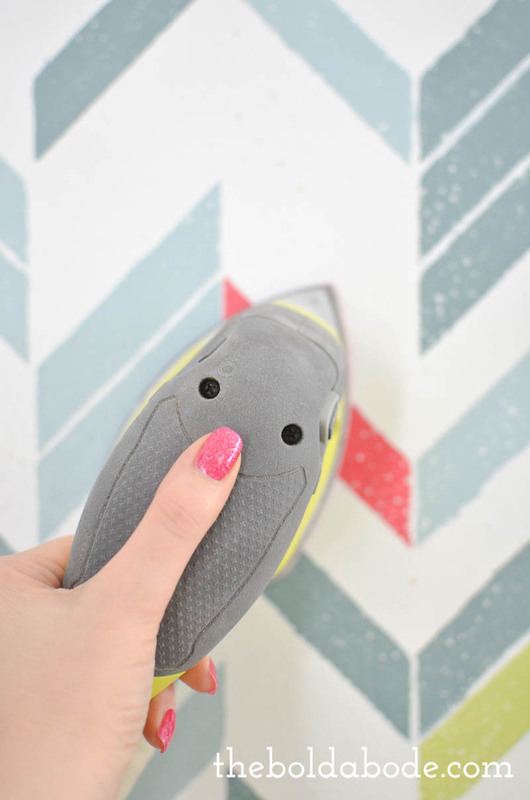 when i wanted to paint over it i took my sander to those polka dots! hard work but worth it not to have them show through in their pattern!